Werner Liepolt lives on Bridge Street. Around the corner is the William F. Cribari Bridge. In 1987 — the first time the century-old span was slated to be replaced by a modern one — Westporters succeeded in gaining National Historic Structure designation for it. In November 2015 — with plans once again afoot to renovate or replace the Cribari Bridge, and spillover impacts likely for Bridge Street and beyond — Liepolt began a quest to get National Historic District status for his entire neighborhood. The longtime Westporter knew that many of the houses on his road had contributed to Westport history. Over the years, he’d heard stories from older residents about who grew up where, which families were related, and how beautifully the forsythia had bloomed. He saw historical plaques affixed to many homes. But to submit a Historic District application, he needed to learn more. Morley Boyd — Westport’s historic preservation expert — directed Liepolt to a history of the town, and an 1869 document in which Chloe Allen “dedicated to the public” the road between her house (still standing on the corner of Bridge Street and South Compo) and the Saugatuck River. Chloe Allen lived in the Delancy Allen House at 192 Compo Road South. It was built in 1809. That half-mile stretch now boasts more than 20 historical resources. 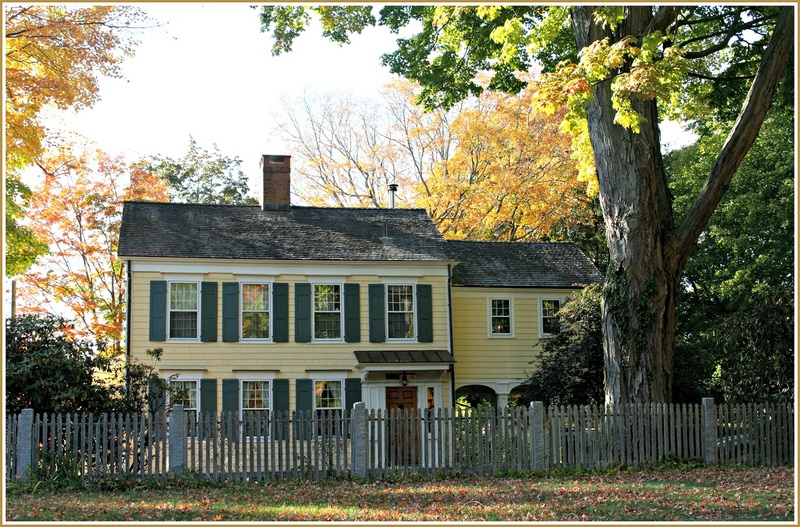 Thirty-one properties are eligible for Connecticut State Historic Preservation plaques. Wendy Crowther noted that a New Yorker cover by Edna Eicke shows a little girl celebrating July 4th on the porch of her 1880 home, on the corner of Imperial Avenue and Bridge Street. That’s the same house where John Dolan — keeper of the manually operated swing bridge — lived until the 1940s. 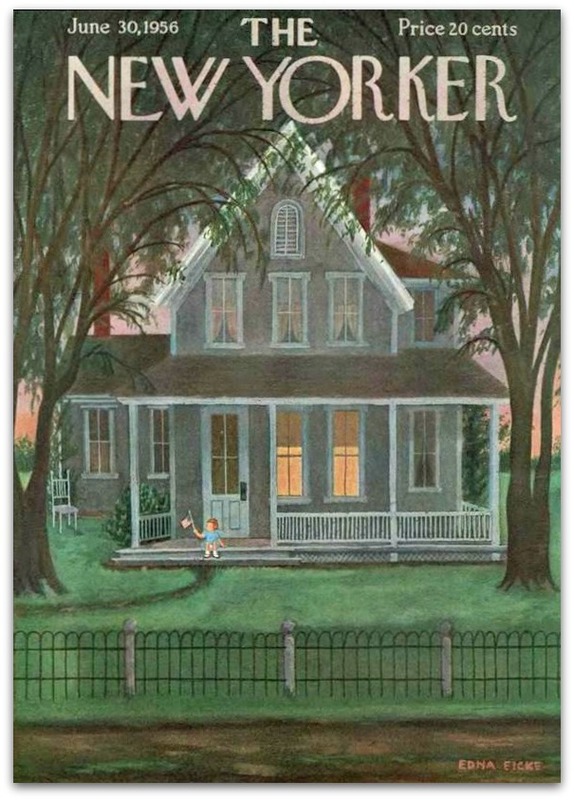 The New Yorker cover of June 30, 1956 shows this 1880 home, at the corner of Bridge Street and Imperial Avenue. Liepolt also researched what it means to be a National Register District. Benefits, he found, are modest — and obligations non-existent. A homeowner can do anything to and with a house that any other owner can. An owner who makes restorational repairs may enjoy a tax benefit. Liepolt learned too that if any federal funding, licensing or permitting is involved in development in a National Register District, that agency must take into account the effects of that action on historic properties, and consult with stakeholders. Liepolt says this means that a possible Connecticut Department of Transportation plan to use federal funds to widen Route 136 — Bridge Street — as it feeds the bridge over the Saugatuck would require the Federal Highway Authority to consider the effect, and consult with property owners there. The 1884 Rufus Wakeman House, at 18 Bridge Street. The goal of this consultation is to mitigate “adverse effects,” Liepolt explains. These can be direct or indirect, and include physical destruction and damage; alteration inconsistent with standards for the treatment of historic properties; relocation of the property; change in the character of the property’s use; introduction of incompatible elements; neglect and deterioration, and more. In February 2016, Liepolt asked Westport’s Historic District Commission to make a formal request for designation of the Bridge Street neighborhood. It was approved unanimously. Liepolt worked with HDC coordinator Carol Leahy and an architectural historian to complete the research, take photographs, compile materials and write the final application to the National Parks Service. The 1886 Orlando Allen House, at 24 Bridge Street. This past April, the application was approved. Bridge Street is now added to the list of Nationally Registered Districts. There was no big announcement. I’m not sure if anyone in town really noticed. But we sure would notice if — without this designation — the look and character of the Bridge Street neighborhood ever changed. This entry was posted in Looking back, Organizations, People, Places and tagged Bridge Street, National Historic District, Werner Liepolt, William F. Cribari Bridge. Bookmark the permalink. Congratulations to you and your neighbors, Werner! And thank you (once again) for helping to safeguard the integrity of this important gateway area.The Bridge Street neighborhood has now joined the ranks of some of the nation’s most significant historic properties; a well deserved recognition for Westport. Can’t wait to see those cool, cast metal National Register plaques go up! A very wise move. Hopefully the designation and the clause that states that if any federal funding, licensing or permitting is involved in development in a National Register District, that agency must take into account the effects of that action on historic properties and consult with stakeholders will help to preserve the Bridge Street neighborhood. As a word of caution, however, I’d like to point out that since 1991 the entire Compo-Owenoke area has also been listed on the National Register. Obviously that designation has not saved those neighborhoods from tremendous changes. Good point, Eve. Not much “there” there any more in Owenoke. Ditto Mill Pond Cove. However, a big part of the problem in those two waterfront neighborhoods is FEMA compliance, etc; historic structures just get killed by that stuff. There are other reasons too, of course. On Bridge Street, the big threat has always been DOT. This is the agency that once drew up plans for a four lane highway on Bridge Street from Comp South to Saugatuck Ave – complete with a cloverleaf exit system at Riverside. So the new National Register designation (together with the recent State Scenic Road designation) is mostly aimed at the one entity which is legally bound to pay attention to it: DOT. How wonderful and many thanks to Werner Liepolt and all concerned for accomplishing this! I have a special fondness for the Bridge Street area because I lived there as a child in the mid 1950’s, in a very old house that was torn down to build new ones between Bridge and Imperial Landing. 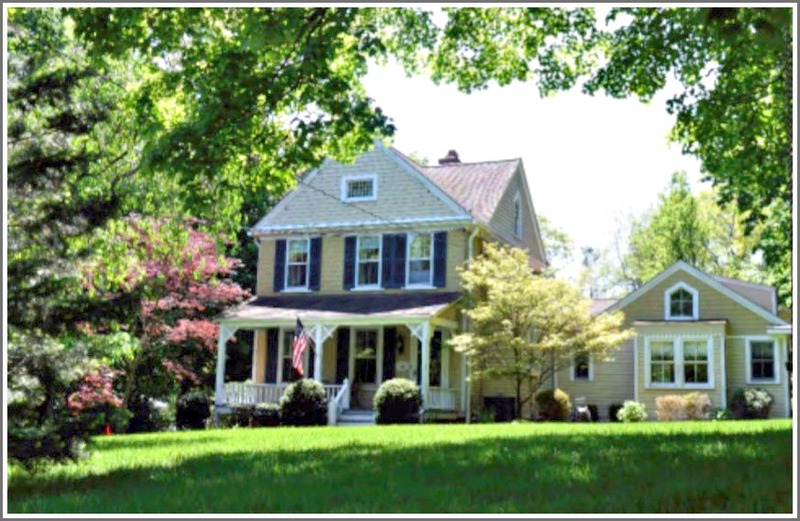 Some readers may remember this house; it was red and situated on a hill overlooking the river…the hill was leveled to accommodate the new houses. A small house on the property was inhabited by a retired priest, Father Dolan. We had very happy childhood years there, very formative ones. My sister, Perii, and I walked to Saugatuck Elementary every day with a gang of neighborhood kids, learned to ride our bikes up and down the soft hills of Bridge Street, and had adventures going across the Bridge to Saugatuck to buy candy at the original Peter’s Bridge Market and vote for Miss Rhinegold. I could go on and on. The street was a major player in what I recall as a happy childhood in a great small town, and I’m so glad it will be protected. P.S. Werner Liepolt, thanks too for being such a wonderful teacher at Staples. Both of my kids really enjoyed studying with you! (Katy and Jackson Blackburn). Same memories, Pam — We lived on Bridge St. too! I remember your house and was so sad to see it torn down many years ago. I always felt like we were home crossing the bridge and looking at that red house up on the hill. I loved the little red cottage across the street which was painted yellow in recent years, and now also torn down as I understand it. Both stood at the entrance to the bridge. I hope Bridge St gets preserved. I was 3 when we moved to Westport in 1952 and for the first year we rented that big red house – the last house on the right before you crossed over the bridge to Saugatuck. I remember a bad ice storm and we lost power for a week. I also remember a stone well down towards the river where we were told NOT to go, so of course we went there. I was sad to see it gone on one visit back to Westport. After that first year we moved to our settled home on Narrow Rocks Road. Pam, BJ and Bonnie – If any of you happen to have a photo of the old red house overlooking the river, or photos taken of the bridge from your neighborhood or yards, I would love to see them (I’m sure Dan Woog would too). I don’t think I do but I will look. The only picture I recall is at the front door. I can picture the house in my head, that’s for sure. Thank you for all the hard work and time everyone has put into saving this area. It especially means a lot to me since the bridge is named after my dad. Again thank you for saving Saugatucks treasures. Congratulations to all those involved. I have always enjoyed going by those wonderful historic homes (and of course the bridge). 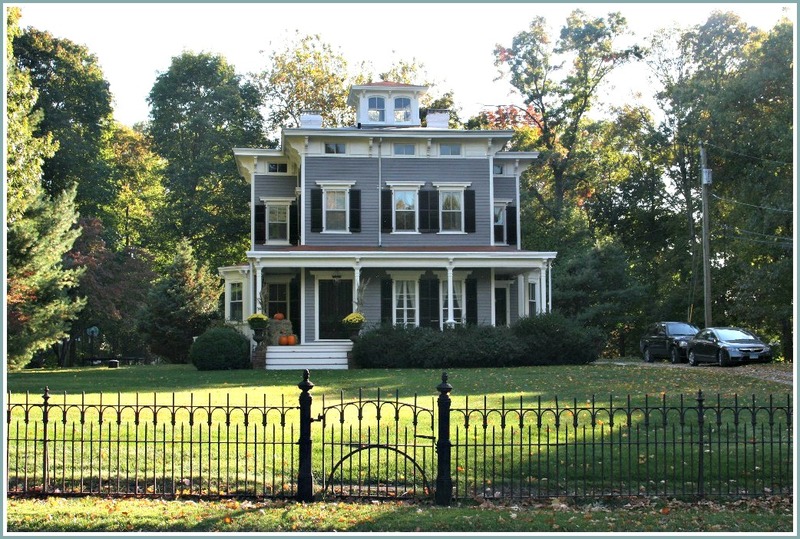 This neighborhood is such an important part of Westport’s New England character. I read that the state has banned fire trucks from crossing the bridge. That is because the bridge might collapse under the weight of the fire trucks. What if a fire truck needs to get to a fire quickly? They can’t cross the bridge. Is somebody going to lose their house to a fire because of that? Eventually the state is going to close the bridge to all traffic. Can you imagine what a mess that would be? Why doesn’t the town assume control of the bridge? To the best of my knowledge the state will even give the bridge to the town. Why does the town fail to take it? 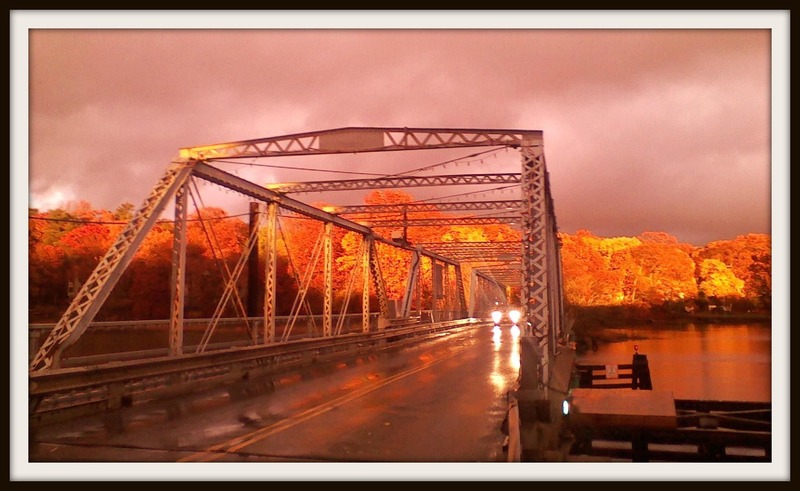 If the town takes over the bridge then they can do whatever they want with it as far as historic preservation etc. Do you think the state who owns the bridge is going to allow the bridge to collapse? The state will close it to all traffic to avoid another Mianus river bridge disaster. I find it hard to believe that the state will not proceed with eminent domain litigation if everything stays as it is now, regardless of historic designation. The state owns the bridge, not the town. Is the town going to dictate to an owner how to fix something? Do I have the right to tell an owner how to fix his or her house when I do not even own it? Putting the bridge on the National Register back in 1987 is what most people think finally caused DOT to throw in the towel on its supersized replacement project (but no one knows for sure). Instead, under an MOU which was brought about the NR listing, it retrofitted the bridge with a modern, unlimited weight deck and left the character defining, pin connected iron trusses – which also help deter 18 wheelers . The state did not ban firetrucks from the bridge. It posted the bridge at 20 tons. I don’t believe we have any firefighting vehicles which need access to the bridge which exceed 20 tons. The town doesn’t dictate anything as part of the NR listing; Sec.106 Review is simply a federal law that’s triggered by the NR listing. It merely requires the consideration of approaches which avoid harming a NR listed historic resource. There are no guarantees that this will happen, of course. But now it’s not just the bridge that’s on the NR. It’s the whole neighborhood too. Plus it’s now part of a State Scenic Road – which comes with its own set challenges for those who want to turn Saugatuck into an alternate 95 route. Special thanks to the residents for helping to preserve a big piece of Westport’s heritage. I’ve always loved and appreciated that stretch of road, and those amazingly well kept historic homes. Years and years of my childhood and adulthood would go by, and that street remained steadfast with architectural integrity. The charm ooozes! It’s a wonderful part of Westport. How many of us have sat in our cars on that street, just waiting to get into the Compo fireworks?! Great opportunity to stare at lovely facades, am I right? Back in the early 70’s, someone operated a small daycare home-center in one of the smaller homes along that road, up closer to Compo South intersection. My mom utilized their services for a time, while she was working. Can’t recall how long I’d enjoyed those playtimes there. There were several daycare “out of the house” setups back then, all over town, and as a single working mother, my mom scouted the lot, LOL.